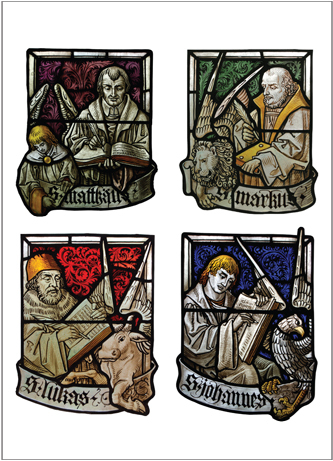 We are putting the finishing touches on a new greeting card of the four evangelists, featuring a stained glass window found in a village church near our former home in Germany. We plan to have this card available within the next few weeks. While this card is appropriate for any type of correspondence, it is especially suitable for ordinations, installations, or an anniversary of these, whether it be given to a pastor or used as an invitation to one of these occasions. May God bless the seminarians from Fort Wayne and Saint Louis who prepare to receive a call into the Office of the Holy Ministry this week. This entry was posted in Latest News and tagged EP Cards, Four Evangelists. Bookmark the permalink.